We weren't looking forward to receiving our Meralco bill this month. A good number of our online friends have been ranting about how their electricity bill have skyrocketed. Some said their bill increased by at least 30% and a couple said that their bill more than doubled. At home we always expected our electricity bill to go up by at least 20-30% during Christmas and summer. It's been unusually hot this summer and one cannot help but use airconditioning (lest you want to faint from heat exhaustion). I was unfortunately the one who found our Meralco bill in our mail box. I was hoping that our bill would've just increased by about 30% but it increased by 50% despite the fact that we've only used the aircon once! A neighbor of mine said that he was really surprised with the extra charges in the bill and a note explained that these were fees being passed on to consumers because they were charges done by Meralco suppliers. And (I dunno) to add insult to injury Meralco included a flyer promoting "energy saving appliances". Goodness gracious! Oh well, I guess this means that we will NEVER experience again the all-time low of PhP5.55. This uber yummy recipe was concocted by my Dad. I've been trying to learn how to do it for a couple of years now, but my Dad never measures anything whenever he cooks! Good thing I can now more or less gauge how much stuff he put in, hopefully I'd manage when I try making it. 2. Cooking can be learned, so do not fear! 3. The best way to kill pests and insects is to kill the source by sending back infected (with insecticide) insects. 4. Always have canned goods and food delivery flyers on hand. 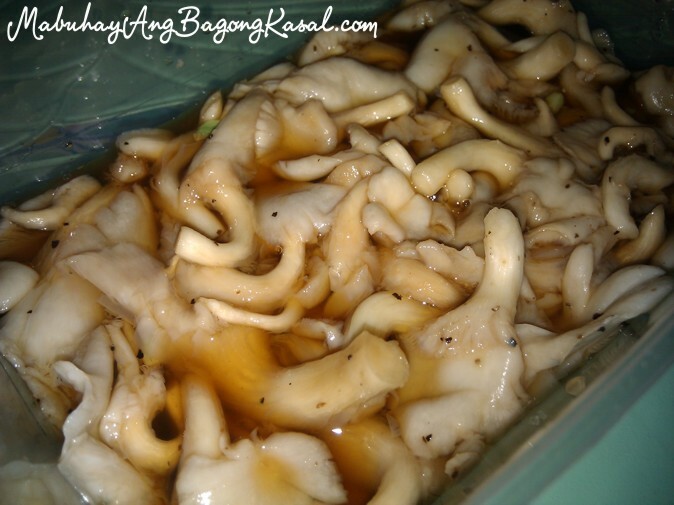 (For the days you are too lazy to cook and have no leftovers). 5. You will discover a lot of things about the previous tenant, so be a good one! 6. Before moving in a new home check every nook and cranny. The repairs we had to do cost about PhP15K. Good thing our landlady reimbursed everything. It was hard to know about the status of the septic tank though. 7. You don't need to have everything all at once. You can always just borrow a mattress first and sleep on the floor. 8. Staying home for 3 straight days might drive you crazy. Take a walk. There's always a Mini-Stop or 7-Eleven around the corner. 9. When in doubt, call Mom. (Or we ask via Plurk). This is in reference to our first cooking attempt and our dancing washing machine. 10. At the end of the day, don't worry you are married and that means you have a partner for life! More about our 100 days on An Apple a Day (part 1 and part 2). 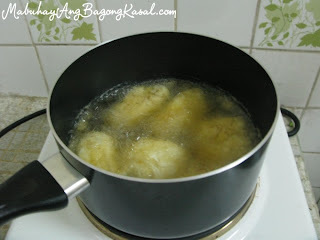 The Lenten Season was a test on my noob cooking skills. We decided to abstain on meat every Friday and that meant learning how to cook some seafood dishes or dine on sardines week in, week out. The first few Fridays of Lent I was either out of town or out for meetings so Sweetie ended up preparing fried tuna steak for those Fridays. We ran out of tuna steak (got it in Davao during an out of town speaking engagement) and luckily passed by Citra Mina after a trip to the Paranaque Central Post Office. We got several types of fish to experiment on. 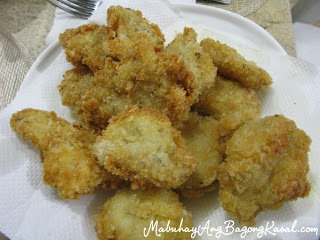 One of Miguel's favorite food is fish fillet. 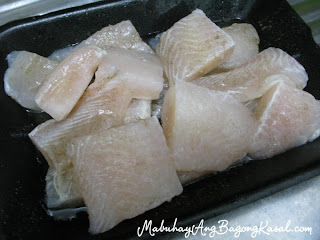 He was really pleased that I got some cream dory (he discovered it in Davao), so one Friday I decided to make some cream dory fillet. I just adapted the recipe from the cheese stuffed pork roll. Here's how I made it. Slice the fish into 1.5"x 1.5" cubes (or however you want it sliced). Pat it with salt and pepper and let stand for about 15 minutes. 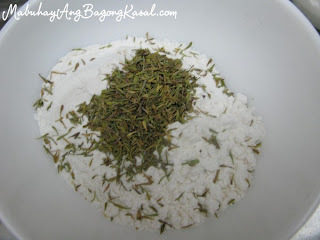 Combine 1/2 cup flour with 1/2 teaspoon of thyme (this is the secret oomph to the fillet). In a separate bowl beat 2 eggs. Prepare 1/2 cup of bread crumbs (you'll need more actually). 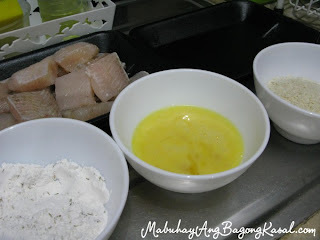 Dredge the sliced fish in the flour mixture. 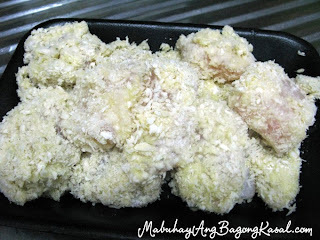 Dip in eggs and completely cover with bread crumbs. This is how it'll look after you do that. Deep fry until it's golden brown. Drain oil by placing it on a paper towel. 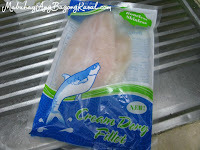 Cost: approximately PhP170.00 (the cream dory is about PhP150). So we thought by the third month things would've settled. We weren't going to smoke up anything and we were going to live happily ever after. We were wrong. Here are ten things we learned during our first 90 days. 1. Kill those roaches! We used up 3-4 tall bottles of Baygon to kill roaches in just 6 weeks. I'm allergic to it and even tiny roaches give me an asthma attack so we had get rid of them fast. Baygon's roach bait nailed them all. We barely see any anymore. It's a bit expensive though at PhP250 for a pack of 6, but it's very effective. 2. Oregano overgrowth! For some strange reason the tiny oregano plant my Mom planted in our small plant box grew by leaps and bounds (can I say mutated?). We thought they were just going to stay small. Mom had to come over and fix up our plants. Trimming your plants isn't a bad thing and you can always re-plant the cuttings. This also holds true for dying bougainvillas. 3. Your septic tank. Dun-dun-dun. We thought we were doing the intelligent thing by not throwing any trash in the toilet. Unfortunately the previous tenant un-intelligently flushed down non-biodegradable stuff in the toilet. The result? Too traumatic to recount here. Read our previous post. When in doubt, call your landlady. 4. Trash. There was a week when the basura boys didn't get our trash. Now we have to make sure that at least one of us is home on Wednesdays to make sure they pick it up. 5. Curtains. It's hard to wash curtains that have steel rings. Instructions said to wash it by hand so we were hesitant to throw it in the washing machine. Good thing my Mom's cleaning lady washed it one Monday morning. 6. Grocery shopping. Always make a list. Always. 7. Veggies. We always end up with rotten vegetables. Not because we buy too many, but we oftentimes end up with a lot because either of our parents would surprise us with stock. Will take time probably. One veggie saver we discovered especially when you have cabbage and carrots? Coleslaw. Shred the veggies, add mayo, a dash of vinegar plus sugar and you have instant salad! 8. Always keep lids tightly closed. Loose lids = ant invasion invitation. 9. Take a break. 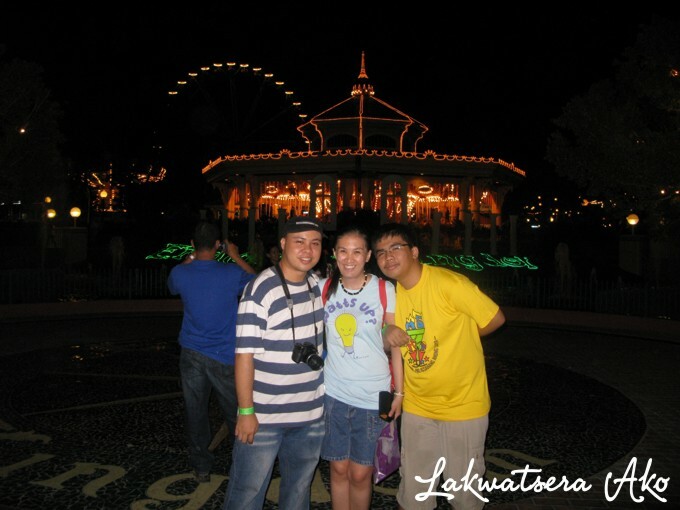 Go on a roadtrip once in awhile, you both deserve a break from doing so many household chores! 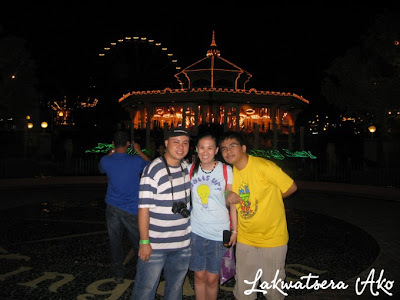 The three of us also got addicted to Plants vs. Zombies and it's been a great bonding experience! 10. Always close the curtains at night. Our neighbor's maid always water their plants at around 9:30 p.m. everyday and she never fails to watch us like a hawk. Uzi!!! More about our third month here.